The steps to scan a picture or document on an all-in-one printer vary from machine to machine and can change according to which software you use, but the process boils down to two main steps. Position your document in the scanner, and then start the scan using the scanner's buttons, the scanner software or an alternative scanning program. Check the all-in-one's manual or the manufacturer's website for specifics about your model's buttons and included software. To start, place your document face down on the scanning bed. Position it in the upper left corner of the glass and close the lid slowly, as not to disturb the paper. To scan from a book, hold the book down with the lid gently -- you want to flatten the pages as much as possible, but don't smash the lid down, which could damage the lid's hinges or the book's spine. Some all-in-ones also have a paper feed for scanning and copying. If you prefer, place your document in the feed tray rather than on the glass. Usually, you need to place the paper facing up in the feed tray, but the orientation can vary from model to model. 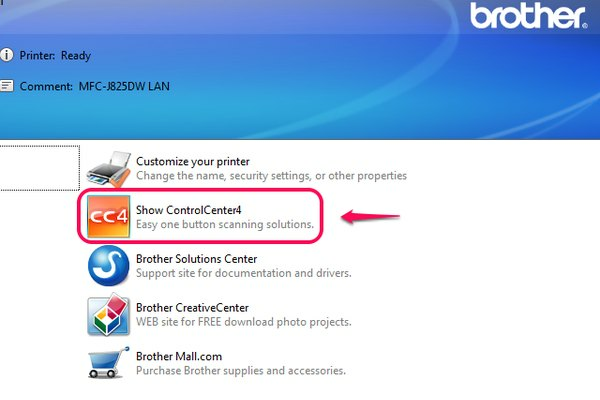 The buttons on all-in-one printers vary by brand and model, but most offer a way to scan without opening a program on your computer. On basic models, you might only need to tap a Scan button to start the scan. On others, pressing Scan enters scanning mode, after which you press Start to start the scan. If your all-in-one connects to your network via Ethernet cable or Wi-Fi, rather than directly to a single computer, you might need to select a computer on the machine's screen to start the scan. What happens after the scan also varies by model. Some will immediately open the picture on your computer screen for editing, while others save it to your pictures folder or the printer's software folder. If the machine seems to scan successfully but you can't find the image, check your all-in-one's manual to see where the picture ends up on your computer. Look for a printer icon on the Windows taskbar. Search for your printer's brand name in the Start menu or Start screen. Open your all-in-one from the Devices and Printers Control Panel, which may contain link to the software. 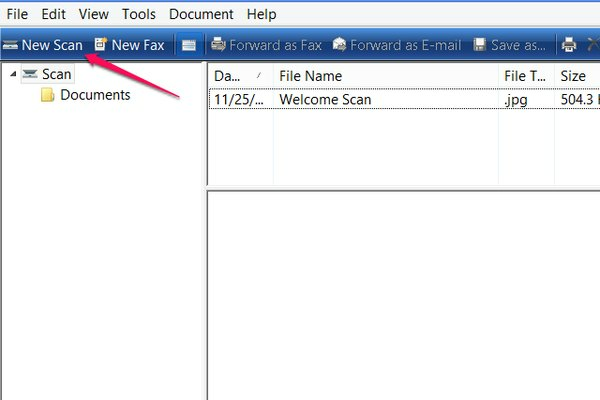 Windows also includes a program for scanning: Windows Fax and Scan. Search for and run this program using the Start menu or Start screen, and click New Scan. 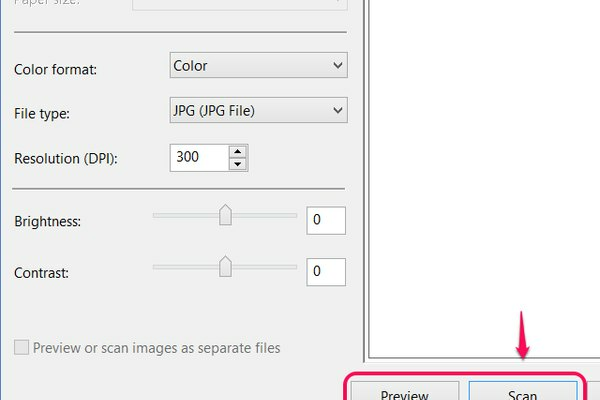 Set options such as the resolution, brightness, contrast and file type -- JPG works well for photos, PNG for line art and text -- and click Scan. To test the settings quickly, click Preview first to see a sample of the scan. Other programs may also offer scanning. 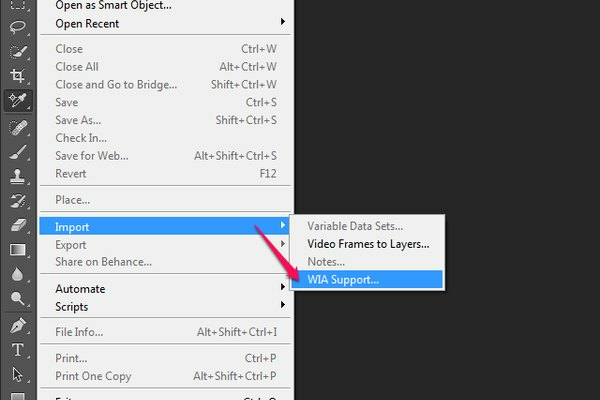 For example, if you have Photoshop CC, start a scan by selecting Import and WIA Support in the File menu. 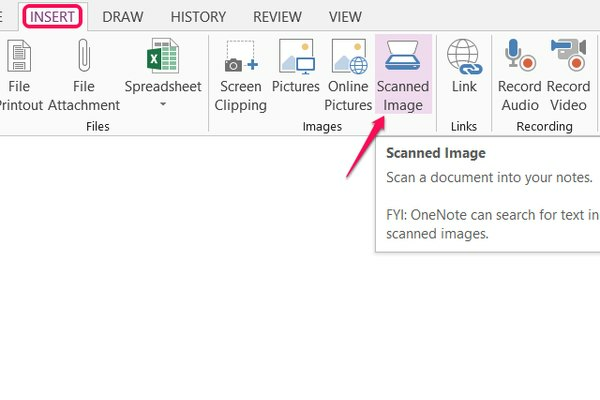 Or, if you have Microsoft Office, open OneNote and click Scanned Image on the Insert tab. OneNote also offers OCR for extracting editable text from images, including scanned images. After scanning, right-click the image and choose Copy Text From Picture. Paste the copied text into the current note or into another program, such as Word.